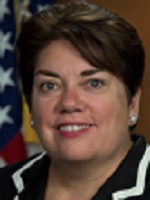 Certain types of “warrant-proof” encryption could pose significant danger to law enforcement’s ability to investigate and prosecute crimes, according to Assistant Attorney General Leslie R. Caldwell. Caldwell said that companies advertising for messaging apps or devices with encryption capabilities “that preclude access to data without the consent of the user,” could be damaging to law enforcement investigations, particularly that of crimes that take place primarily online. She expressed many of the same concerns as FBI Director James Comey has on the issue. Caldwell also addressed the difficulties that law enforcement faces when data about a crime or a criminal is stored in an area that is outside the jurisdiction of the investigation. She explained that it is not uncommon for data about U.S. customers to be stored in foreign servers, and that this data does not always remain in one place. Additionally, some companies offer the opportunity for customers to select specifically that their data be stored abroad.